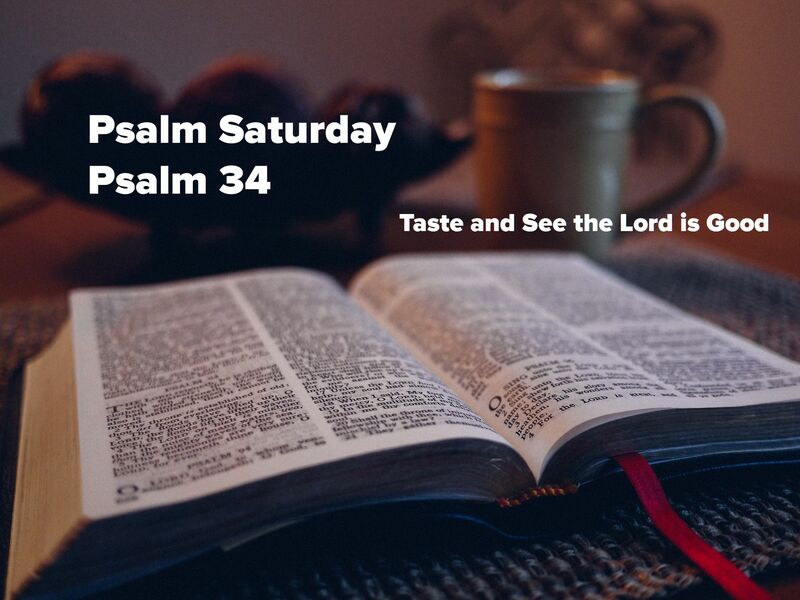 In celebration and in honor of what God has done in healing my mom from the injuries she sustained in her fall a year ago, I wanted to focus on Psalm 34 for our Psalm Saturday edition this week. David penned Psalm 34 after he escaped from Gath. We see him reflect on God’s goodness, praising the Lord for His faithfulness in delivering His people from trouble. David exults the Lord and calls on all God’s people to lift up praises to Him. As a believer, I wonder how successfully I live out verse 1. Do you? It’s one thing to praise God when things are good, but as I’m sure you’ve experienced too, it can be difficult to remember to continue praising the Lord during a storm. We can trust that God hears and responds to our prayers because David reminds us here, as he does so many times in Psalms, that he has personally experienced the Lord answering his cries for help in times of great distress. In our 21st century culture, overrun with busyness and overwhelmed by noise, it may be hard to see, hear, and taste God. Mom falling and breaking her ankle in multiple places came on the heels of saying farewell to my friend Mark, a beloved and godly man who modeled Christ for so many of us. Emotionally it was a dark time whose clouds I feel I’m just now emerging out from under. Today, I’m overjoyed that Mom is completely healed and that the Lord continues to bless her, love her, watch over her, and care for her. She is a blessing to a ton of folks, including me. Her joyous spirit remains strong and vibrant, showering love on all those who know her. She is a faithful friend. She has a kind heart and is thoughtful of others, calling them on their birthdays, sending them cards on special occasions. She is determined and resilient. A lifelong learner, she continues to work on her craft as an artist. She loves people and she loves the Lord. Yes, taste and see that the Lord is good. Indeed, He is. For my upcoming birthday this year, I’m asking for donations to Trusted World. I’ve chosen this nonprofit because I know their CEO personally and I know that the TW team will put any funds raised to excellent use. I believe in Trusted World’s mission and I hope you’ll consider contributing as a way to celebrate with me. Every little bit will help me reach my goal. This is so beautiful. Your mum looks amazing! I have tasted of the goodness of our good Father. He is truly good! Thank you Efua. She celebrated her 80th earlier this year and continues to fill the world with joy. Yes, He is! I always like to look at praising God when times are tough, this way: God is preparing me for something greater in life. I can whine about it and prolong the agony, or I can get on with the lesson. I thank God for making me stronger, if that makes sense. Yes, I get what you’re saying. I think our trials are there to build us up and prepare us for what is yet to come. There always seems to be a more difficult moment to persevere or problem to solve than the last big one. In the end, God is still on His throne, faithfully guiding us through the storm. Appreciate you reading and commenting my friend. 👍 I appreciate the post, brother. They help me keep the focus on that which is important.